Drie dagen lang wordt De Stomerij overgenomen door internationale kunstenaars die tijdelijk in Groningen verblijven. We hebben ze vrij spel gegeven. Wij de ruimte zij het werk. Donderdag 9 juni (a.s.) om 20.00 is de opening op ons nieuwe pand aan de Nieuwe Ebbingestraat 24. 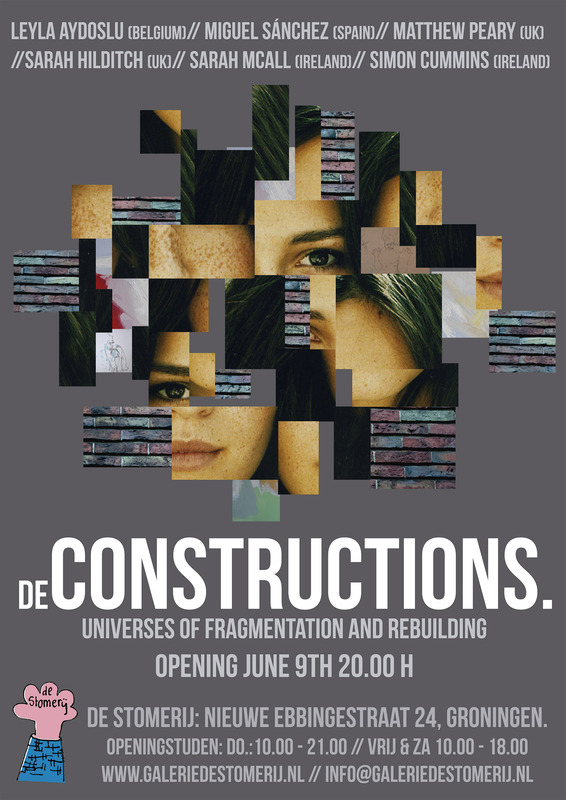 Deconstruction; to fragment and take apart, often used more broadly as a synonym forcriticizing or demonstrating the incoherence of a position.Extending to every corner of our lives and ways of working. We have taken apart ourselves, and piece by piece, have brought each fragment to Holland. We have reconstructed ourselves and created our own microcosm. This microcosm can be strongly felt throughout the works. The works have been created using vastly different techniques, materials and inspirations, however the viewer is guided through the exhibition seamlessly, experiencing each small universe individually and ultimately consuming the exhibition as a whole. We have almost finished our journey here, see what we have discovered on our way.